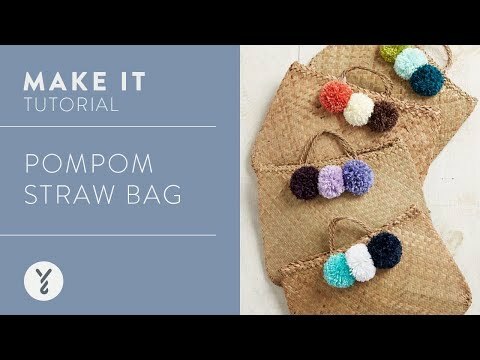 Update your accessories with pom poms, made using Caron Simply Soft. Bring a personal touch to your favourite bag or other accessory with this simple DIY project. Novices, begin by selecting colors from our popular Caron Simply Soft collection to create luxurious pom poms that reflect your personal tastes. Make extras and add personality to kids' items too.